This project started with the question: Do you like dragons? Who doesn’t like dragons? After answering “yes”, he began to talk about his educational video game project involving dragons. 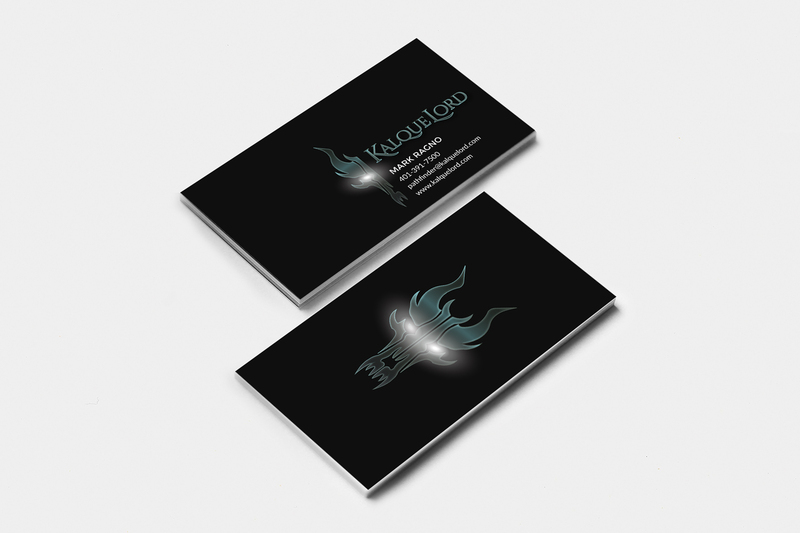 To start marketing his game to more potential investors he needed a logo and business cards. One of his major points was that although this was a game for young children, the logo still had to have the “cool” factor of a mature fantasy game. Excited about the video game theme, I went into this taking inspiration from video games like Diablo III, Dragon Age, and Skyrim. Mark also wanted a set of icons to match his logo to use as stickers, app icons, web assets, etc. Turing the half dragon skull into a full skull for the icon was the obvious choice to create cohesive branding elements. Mark’s only input on the business cards was “simple and dark”. Being that his logo was already quite fierce, it was easy to get that dark feeling to come through.